Like all states, you must have a Commercial Driver’s License or CDL to work as a truck driver in Alaska. You’ll need to accomplish several things first before you can receive one. Compared to other states, acquiring a CDL in Alaska may be relatively easy. Since Alaska is a bit isolated to the other states, commercial truck drivers there won’t be doing much interstate driving. This means that you won’t need to wait until you reach the federal interstate driving age of 21 years old. 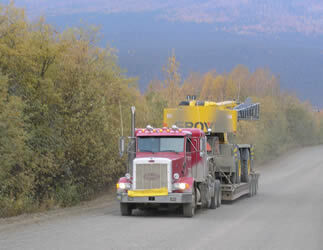 CDL licenses issued in Alaska also come in types A, B, and C, with each type relating to the gross weight vehicle. In many cases, you’ll be able to start working as soon as you receive your license. There is no specific rule that requires applicants to first undergo a particular type of training before applying for a CDL. What’s important is that applicants will be able to pass the required documents, the written exam, and the road skills test. All applicants are required to take the General Knowledge Test. Applicants can prepare for the test by reading the state’s commercial driver’s license manual. This manual contains important information that will be covered in the written test. It can be obtained from the local DMV office or by downloading it from the internet. Additional exams will be given for each endorsement you wish to add to your CDL. Trying to obtain endorsements is advantageous since it allows you to perform additional tasks such as carrying hazardous materials and operating a combination of vehicle types. When you pass the written test, you will be given a temporary driver’s permit, which will allow you to operate a commercial vehicle while under the supervision of a licensed driver. This permit will only be valid for up to 6 months. Use this time to get enough practice for the road test. Applicants must schedule and take the road test while their permits are still valid. The road test is conducted by a 3rd party, and there is a road test fee of $25. Applicants are required to provide their own appropriate vehicle for testing and must be accompanied by a licensed driver to the testing site. The road test is divided into a pre-trip inspection, a basic skills demonstration that involves maneuvering a truck in private roads, and on-road testing in an actual traffic situation. Applicants must pass all three parts to receive their CDLs from the DMV office. The Bureau of Labor Statistics has estimated the annual salary of commercial truck drivers in Alaska to be around $50,050. Although it might not be one of the biggest trucking states, you can still find an array of truck driving careers there. The biggest industries that one can find work in includes gas and petroleum, food manufacturing, general merchandising, and many more. Ilisavik is the only accredited, Alaska Native controlled higher educational institution in Alaska. It is also the only college that’s located within the boundaries of the Arctic Slope. This is a two-year tribal college that offers quality post-secondary academic, vocational, and technical education aimed at matching workforce needs. The college is dedicated to perpetuating and strengthening its Eskimo culture, language, values, and traditions. To receive an Alaska CDL or commercial drivers license, you will need to accomplish several things first. You will need to undergo several tests and to submit the necessary documents for the release of your license. There are also tests in order to determine your skills and competency to handle commercial vehicles in different types of road circumstances. The applicant must also be physically fit if they are to pass the state’s requirements at all. There is no specific requirement to undergo a particular type of training in order to gain an Alaska CDL. What is important is that you will be able to pass the written exam as well as the road test when they arrive. One therefore has to study the Alaska Commercial Driver Manual in order to learn more about the skills and the information that they have to focus on when applying for a CDL. This is available online through the Alaska DMV and is provided for free. This is definitely important as it also shows the particular areas where you will be tested during the skills part of the exam. There are different types of vehicles that you can drive commercially. 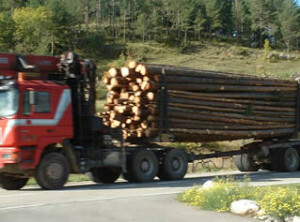 They can be over-the-road trucks and trailers, passenger or school buses, and large and heavy equipment vehicles that are used for commercial purposes. The important feature that these vehicles should possess is that they have a gross weight of more than 26,000 pounds or they are carrying 15 or more passengers. They must also be able to be driven from the job site over the road. To get a commercial driver’s license in Alaska, you must be at least 18 years old if you will be driving within the state only and 21 years old if you will be driving interstate. You need to bring several documents when you are applying for a CDL license. You should have an ID with your birth date, Social Security Number, medical card, and you must be physically fit as well. You should pass the state’s medical and visual tests in order to determine if you are still capable of driving in good condition. To get the CDL license, you will need to pass both the written and skills test. You have to pass the written exam first before you can proceed with the practical exam. It will cover various topics such as technical, legal, road signage, and road safety measures. The skills test covers a pre-trip inspection, basic skills, and the driving skills test. You must pass these tests within a year after the issuance of a learner’s permit. If you will be driving a vehicle that contains toxic or hazardous materials, you will also be required to take the Hazardous Materials endorsement. This will require an additional written test and fees for you. The basic fee for an Alaska CDL is $100 with a road test fee of $25. Other fees can be charged for the acquisition of additional endorsements for Double/Triple Trailers, Passenger, Tank Vehicle, Hazardous Materials, and School Buses. Visit this page to learn more about attending a CDL school in AK. Training will help you pass the driver’s license exams and provide you with experience driving a semi-truck. Many schools offer special financing and job assistance for those who graduate. You can read more about the latest requirements to receive a commercial driver’s license through the links below.